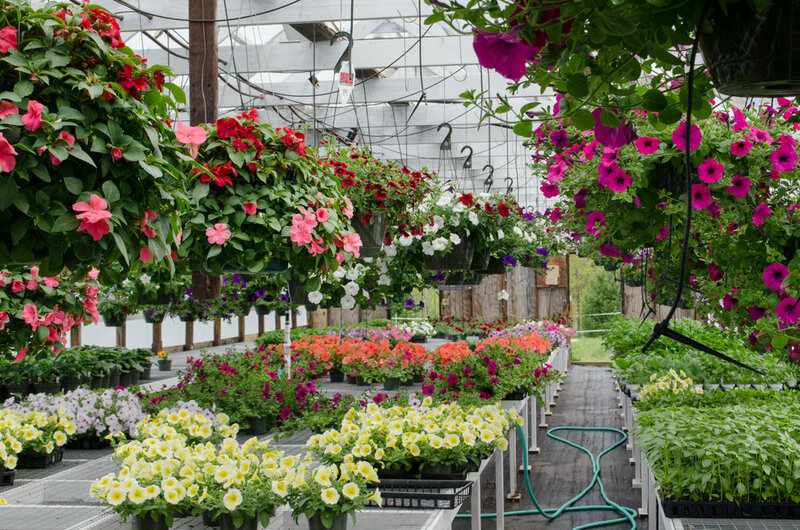 When it comes to bedding plants and cut flowers, there are myriad choices of who to buy from. As a small operation, we set ourselves apart by offering unique varieties expertly finished and harvested. Safety and cleanliness are our two biggest concerns in our day to day operation. Sanitized greenhouses free of plant debris and weeds allow us to start the growing season off on the right foot. Because we are not running greenhouses year-round, extreme summer and winter temperatures help ensure that the few pests we might encounter won't stick around long. IPM is a whole-picture, common sense approach to managing pests in our greenhouses and fields. Instead of simply applying pesticides preventatively, managing pests with IPM requires us to attempt the least toxic method of control first. This means understanding the life cycles and requirements of pests, manipulating their habitat, adjusting our cultural practices, and implementing biological controls such as beneficial insects. Biological pesticides comprised of natural materials or microorganisms that target specific pests are an environmentally sensitive way to combat pests without disrupting the ecosystem, in addition to posing no safety concerns for humans. OMRI approved pesticides are the final consideration in the rare event that all other methods fail - and used judiciously and considerately can help save a crop when nothing else will. OMRI approved pesticides are products that are used in Organic crop production and typically consist of materials that break down quickly in the environment, many in as little as 24 hours. This not only helps us to minimize any concern or unwanted effect in our ecosystem but also means that we can feel good about handling and selling our products. We continue to strive for balanced and sensible pest management and are fortunate to experience very few throughout our growing season. We have bee hives on our property and therefore do not use neonicotinoids at any time, for any reason.